A couple weeks ago I went with my parents to New York to see my sister graduate from Vassar College, it was my mom’s and my first time to go so we made it a week trip. 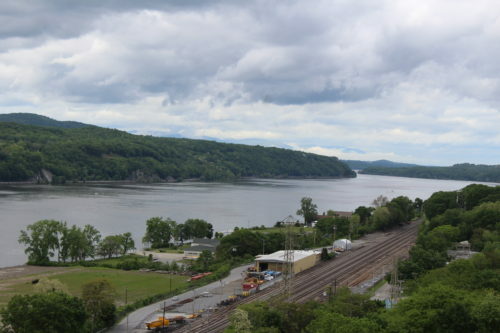 We had a lot of fun exploring Poughkeepsie, New Milford Connecticut, New York City and Hyde Park. 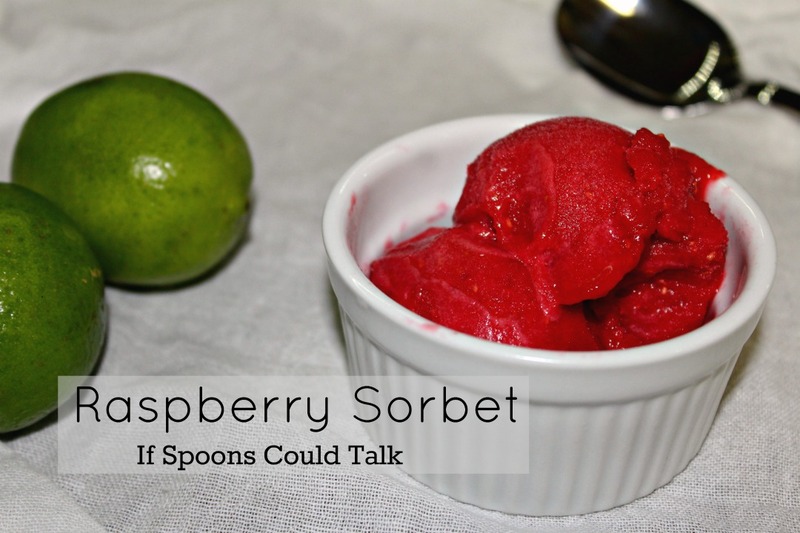 Along the way, we had some amazing food that I want to share with you. Food pictures are all taken with my phone camera so sorry if some of them aren’t great quality. 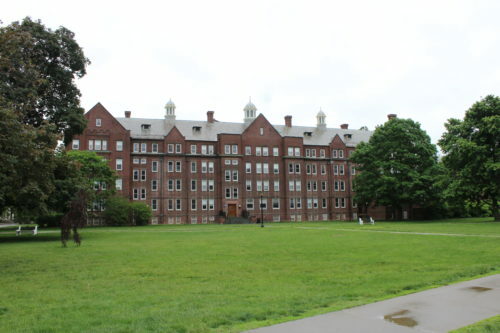 The first thing my sister wanted to show us was Vassar’s campus. 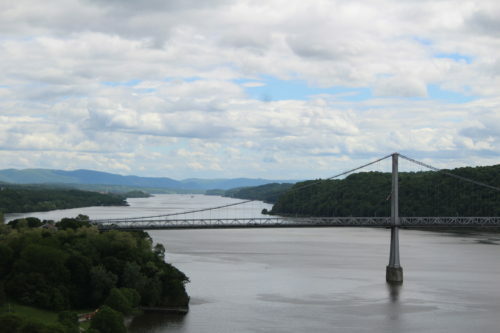 It is a beautiful part of New York and had great scenery. For lunch, we went to a nice little pizzeria called Bacio. I had a slice of Parmesan Chicken and it was pretty good. Mom got a slice of their white pizza that was very cheesy, Dad had a slice of regular New York cheese and it looked great and my sister had the chicken bacon ranch. 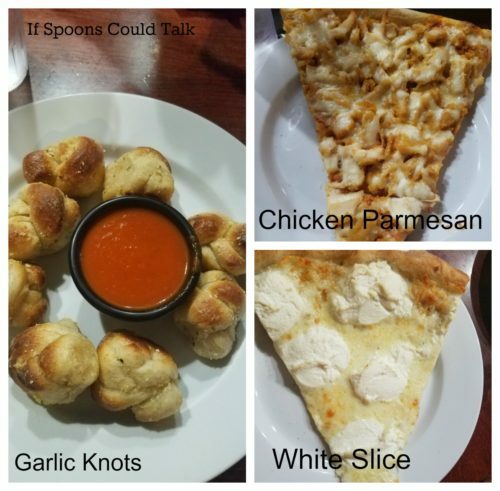 We also ordered some of their garlic knots that came with a killer sauce. That night we went to a brewery and it was a great meal. Mill House Brewing Company has won many awards in the Hudson Valley area and after our meal, I can see why. They bring out a bowl of popcorn seasoned with a sweet paprika or something similar for the table, it was a surprising treat for us as we waited for our order. Dad started with a beer cheese soup that came with a pretzel stick. We passed it around so we could all try it. 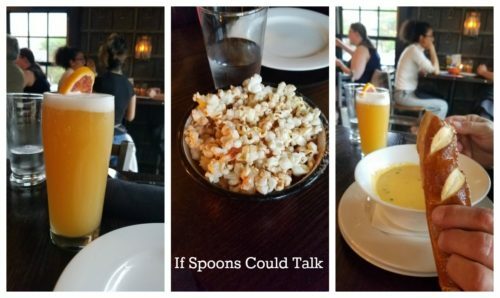 The soup was a perfect beer cheese made with an in-house beer, but the pretzel stick was to die for. I would have gone back every day just for an order of pretzels. I ordered a roasted chicken breast over mashed potatoes and green beans. Perfectly crisp skin and the green beans and potatoes were tasty. 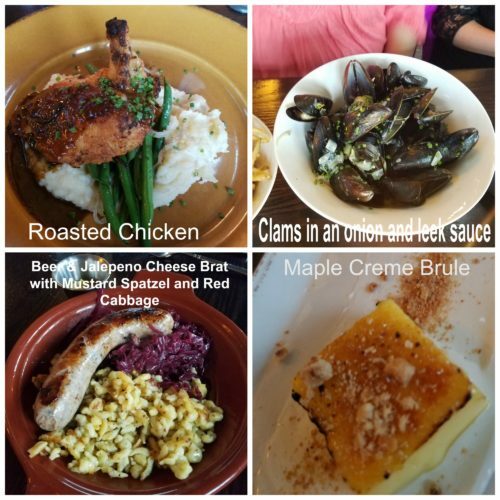 Mom had clams, my sister a sea bass, and my dad had a beer and jalapeno cheddar brat with spatzal and red cabbage. For dessert, we split an order of Maple Creme Brule that came in little tiny squares but was still pretty good. The next day for lunch we went to Rosi’s a popular deli in Poughkeepsie. So popular that there is always a long line. The inside of the deli was so much fun as a foodie, full of people but also packed to the brim with food. 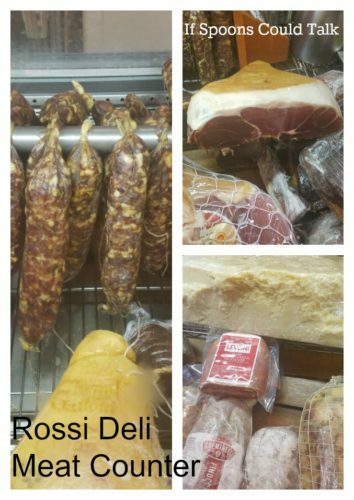 After ordering at the back of the store you stand in line in front of their cool case, which is full of dried meats, cheeses, and some cold anti pasta. I wasn’t planning on getting any of their sides until I saw a tortellini, fresh mozzarella balls and little tomatoes in a light olive oil sauce, I just couldn’t pass it up. 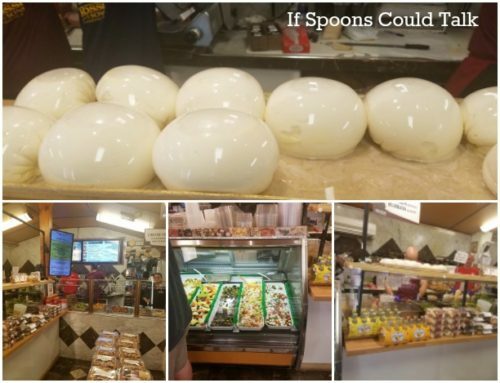 On top of the case was a platter of big fresh mozzarella balls that were perfectly done. Most of us got sandwiches but some got salads, which were large with lots of dressing. 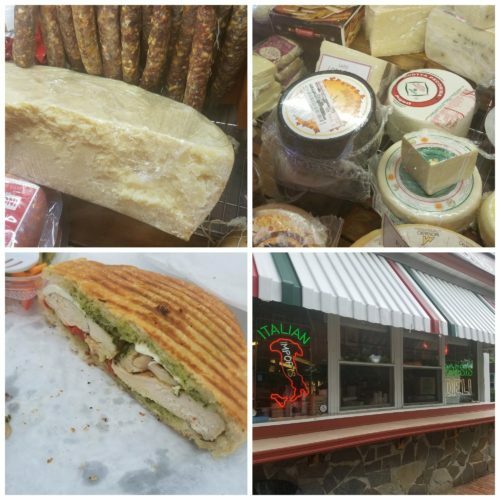 It was a perfect lunch sitting outside with new friends talking and having great deli food. After eating we went to the Hudson walkway to go out over the river. Again I noticed how pretty the area was. We also rode an elevator from the top of the bridge down to the ground level and got to see the architecture of the bridge from below. 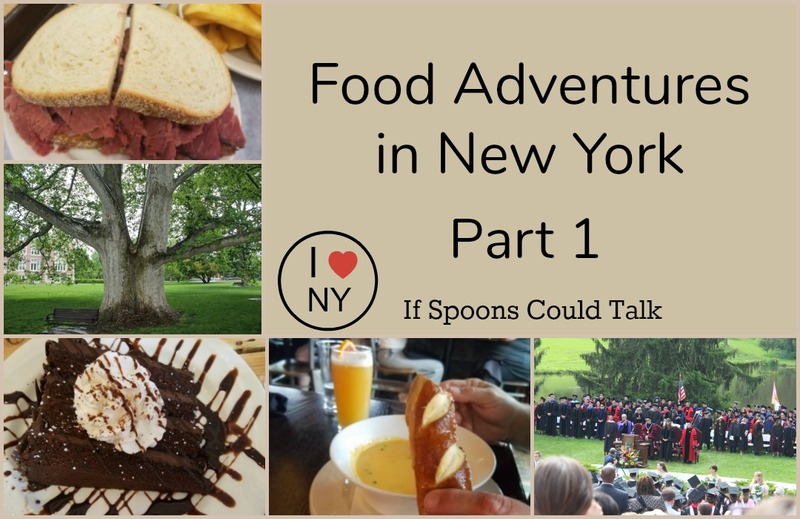 Check back Friday for part two of our New York Food adventures.